Both the House and the Senate FY 15 appropriations bills call for greater accountability and oversight of FDA. As long as the intent is promote effective and efficient government, we see nothing objectionable in this. With new statutory responsibilities, globalization, and increasingly complex science, FDA is still stretched too thin to fully accomplish its mission. As can be seen below, the entire agency has grown over those 5 years … but the largest shift has been the tripling of user fees. Two-thirds of that has been the addition of tobacco user fees ($500+ million) and generic drug user fees ($300+ million). 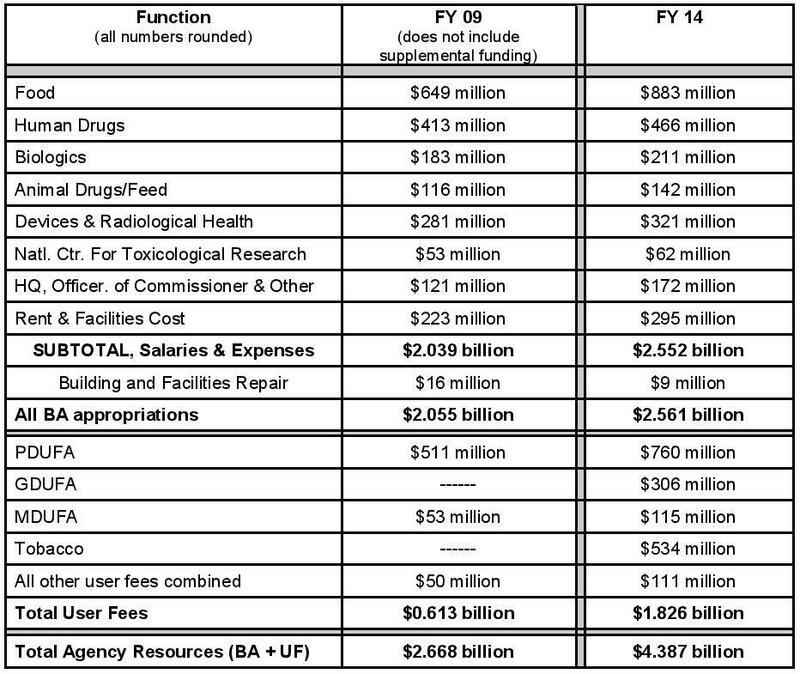 For budget authority appropriations, the biggest shift has been for CFSAN ($230 million).